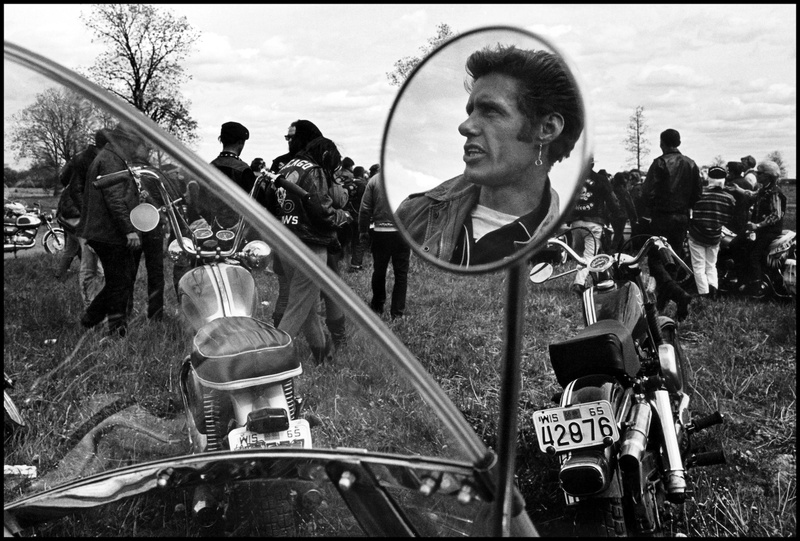 It’s Fotoseptiembre once again, and for the occasion San Antonio Museum of Art is offering up Danny Lyon: The Bikeriders. 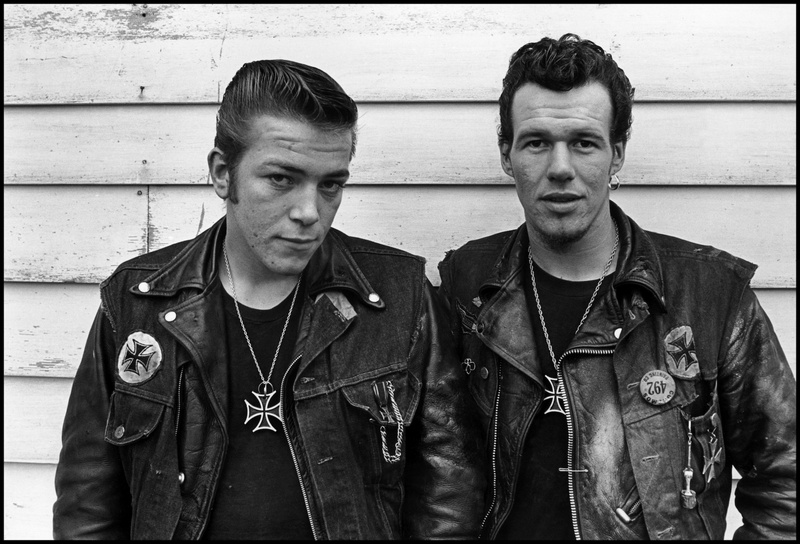 Featuring photographs that Lyon took in the mid-1960’s, this iconic series of photographs offer up a unique look inside the biker culture of the time. As a motorcyclist and group ride leader myself — although not a “biker” in the true sense — I was immediately captivated by images that portrayed a frank, honest look at a tightly-knit group of people who are generally not in the habit of allowing themselves to be photographed in such a manner. 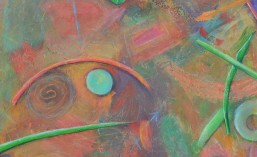 So captivated, in fact, that I browsed all of the photos in the exhibition not once, but twice! These photos were originally published in a book of the same name. 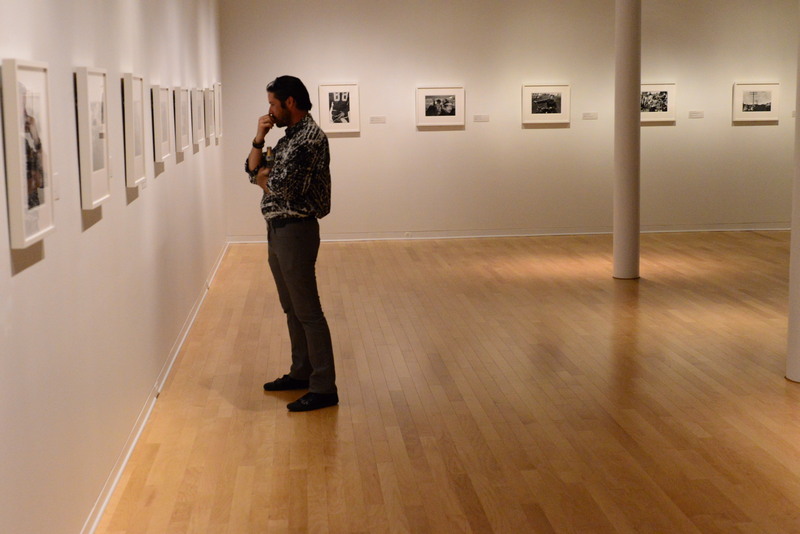 The sharp and stunning silver gelatin prints on display at SAMA were gifted to the museum by Ernest Pomerantz and Marie Brenner. In this digital age, it’s important to recall that Lyon was working with most likely a 35mm camera, where film and developing represented a significant cost — every shot must count. And as such, the images are stunning in terms of composition and character. Not only that, but film speeds were still relatively low at the time. Given the tight grain of the images, I’m guessing he was using 125 ASA film at the most (by comparison, note that my event photos were shot at 6400 ASA). As such, Lyon is a master of depth of field, using it masterfully in low-light situations to its greatest effect — he is taking what some might consider a disadvantage and utilizing it to add a dimension of creativity. So how did he accomplish this? Lyon joined the Chicago Outlaws MC (Motorcycle Club) in 1963, which is no mean feat in itself. Joining an MC requires an initiation process, starting out as a “Prospect” and proving oneself to be worthy of getting “The Patch”. Club members soon became accustomed to Lyon’s ubiquitous presence with his camera and tape recorder, and allowed themselves to be photographed and recorded in practically any situation. And the photos reflect this. They display a frankness of character, an openness that any photojournalist is always striving for. Nowadays, one generally associates MC’s as almost exclusively riding Harley-Davidson motorcycles. However, it’s apparent that in the 1960’s, brand loyalty was not the same thing at all. There is a mixture of mostly American and British bikes, primarily marques such as BSA, Triumph, and some Harleys. One biker is even riding a Suzuki! It wasn’t about the bike at all back then…it was about the ride, the culture, and the camaraderie. Not only that, but there is a grittiness to all of it. It’s apparent that the Outlaws are mostly comprised of working-class folk who have become engaged in a way of life they truly cherish. It’s not about bling and chrome and pricey Screaming Eagle™ performance upgrades, it’s more about being amongst their own folk, sharing the triumphs and tragedies of a way of life that exists on the fringes of “acceptable” society. 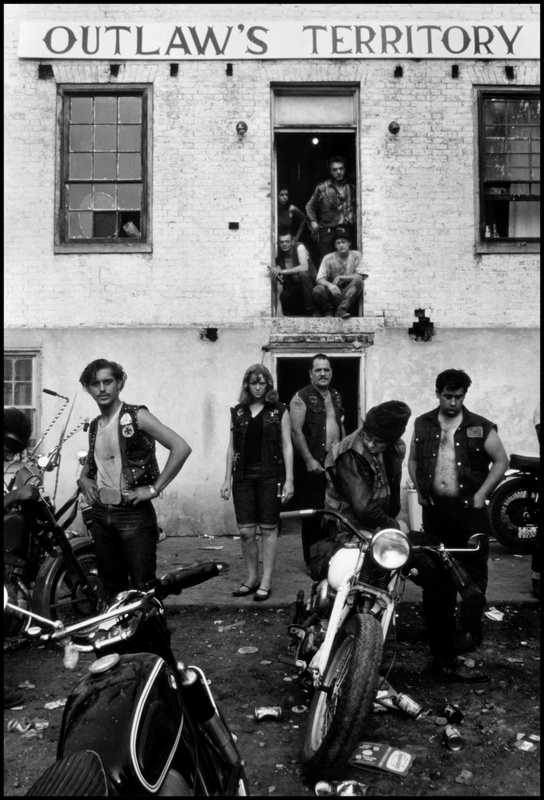 This is a captivating exhibit, not just for those who are fascinated by biker culture, but by anyone who wants to witness a glimpse into way of life that has evolved into something comparatively unrecognizable 45 years later. 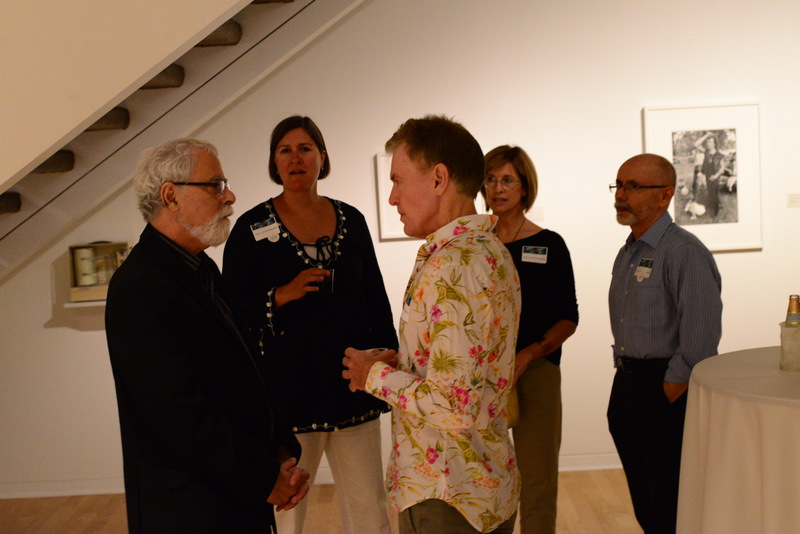 Another great opportunity to check out this exhibit is coming up this Friday, September 13. The monthly Art Party at SAMA from 6-8pm will be featuring motorcycle groups (including mine) entering the grounds and placing their bikes on display. Kudos to the SAMA folks for coming up with such a creative way to showcase this show. 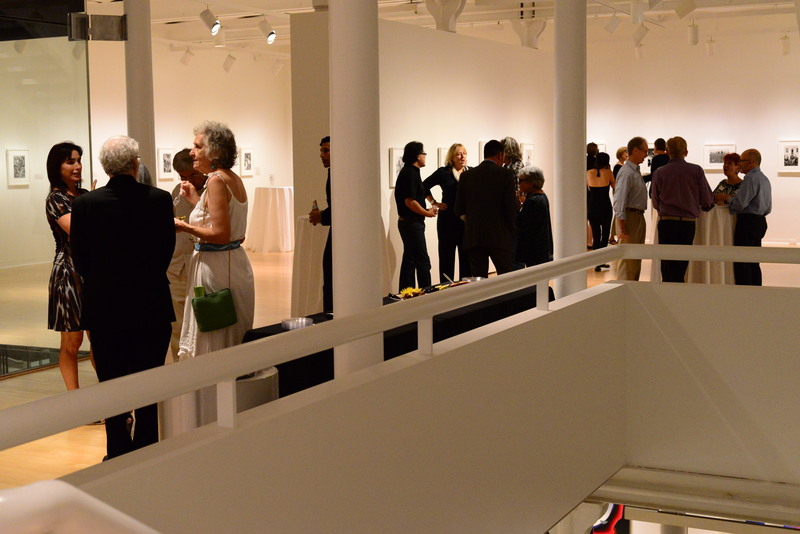 The Art Party is free with museum admission, and of course it’s always free for members. See ya there! Danny Lyon’s work is amazing. His pictures give us on the outside a wonderful peek at the world of 60’s motorcycle life.